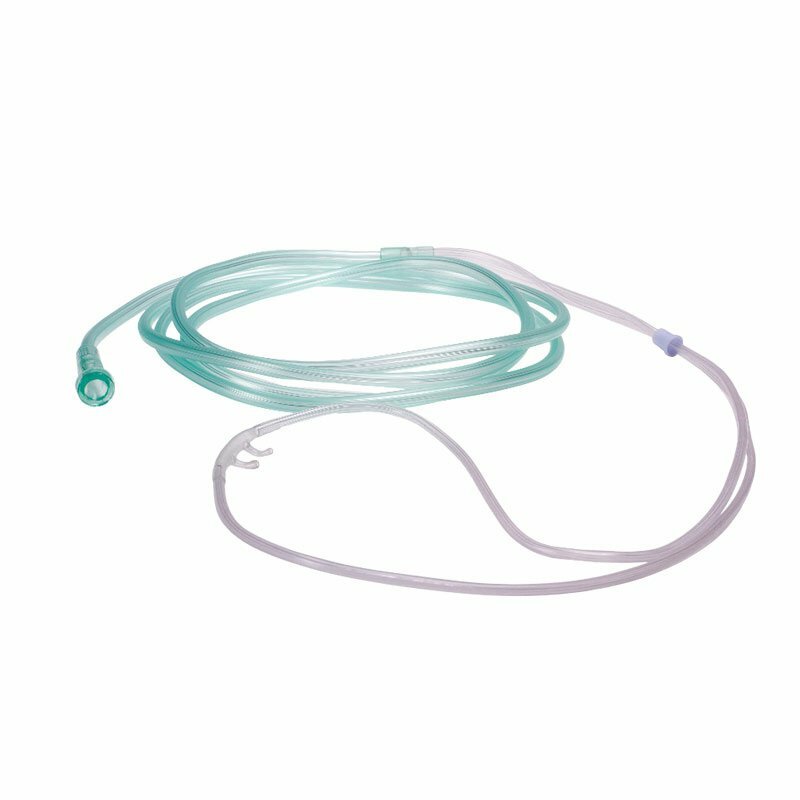 Nasal cannula is a device used to deliver supplemental oxygen or airflow to a patient or person in need of respiratory help. This device consists of a lightweight tube which on one end splits into two prongs which are placed in the nostrils and from which a mixture of air and oxygen flows. The other end of the tube is connected to an oxygen supply such as a portable oxygen generator, or a wall connection in a hospital via a flowmeter. The cannula is generally attached to the patient by way of the tube hooking around the patient's ears or by elastic head band. The earliest and most widely used form of adult nasal cannula carries 1-5 litres of oxygen per minute. Cannulae with smaller prongs intended for infant or neonatal use can carry less than one litre per minute. Flow rates of up to 60 litres of air/oxygen per minute can be delivered through wider bore humidified nasal cannula. The nasal cannula was invented by Wilfred Jones and patented in 1949.